The World Poker Tour is gearing up for a very busy 2019. The brand recently announced 18 stops for their WPTDeepstacks circuit all taking place in the first half of the year. Included in the announcement were two events in the Asia-Pacific region, WPT Vietnam and WPT New Zealand. This is great news for players in the region who witnessed the international tour host inaugural events in both of these countries just this year. In New Zealand, the WPT festival was held in May. The Main Event produced record attendance for the country with 360 attendees and a prize pool over US$500K. Local player Nauvneel Kahsyap won the event taking home NZ$169,200 (US$118,385). Next year, WPT returns to Auckland, New Zealand to host an 11-day festival at Skycity Auckland from May 24 to June 3, 2019 with the NZ$2,200 Main Event scheduled on the last four days. For WPT Vietnam, the tour visited the country in September as part of the WPT Asia Swing that traversed the continent from Japan – Korea – Vietnam. 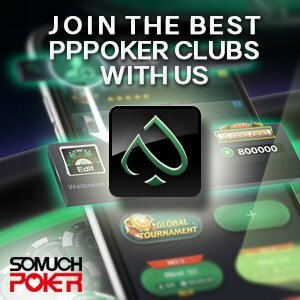 The Vietnam leg took place in Ho Chi Minh City at Pro Poker Club. The Main Event created a record high prize pool in the country of (US$566,600). The tour returns in March 2019 with an VND 8 Billion (US$343,300) Guaranteed Main Event. Currently the WPT is in Asia for their second visit to Goa. WPT India has been running since November 13 at the Deltin Royale and will conclude on November 19. The INR 55K Main Event has already begun. The event drew in a record-breaking 697 entries for a prize pool of INR 36,249,576 (US$503K). This is now the largest Main Event field seen in India’s history.